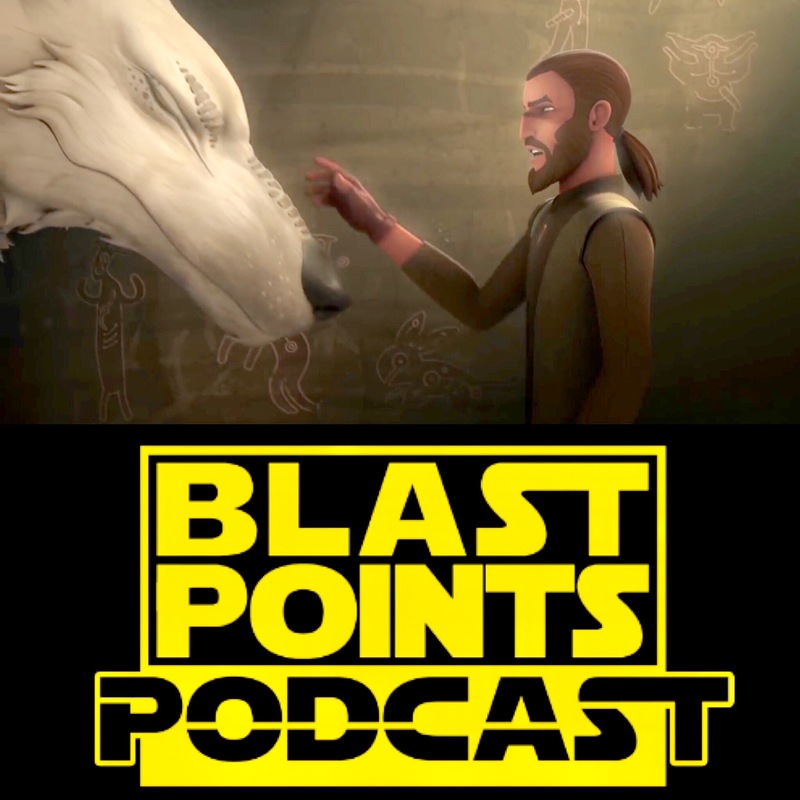 Episode 71 – Rebels Season 4, Panels We Didn’t Go To & Even More Celebration Talk! Yes, Jason & Gabe are still talking about Celebration! There was so much to do and see that naturally they couldn’t do EVERYTHING and this week’s episode has a lot of what they were not able to be at. They run through Dave Filoni’s announcement about ending Rebels, the preview for season four, Filoni’s animation panel, the droids panel, the heroines of Star Wars panel and how excited they are for the upcoming Forces of Destiny. Plus there’s talk of some of the panels they did make it to like the Secrets of the Cantina and the amazing Star Wars Vegetable Carving. ALSO – they go over what was curiously absent from the big contention in Orlando…. So get on your Space Wolf, call up Jira for the weather & celebrate the love with BLAST POINTS!! This entry was posted in Episodes and tagged celebration 2017, rebels by blastpointspodcast. Bookmark the permalink.